I spent a few hours on the beach walking round and looking at possible shots, the sculptures have amazing textures and I took a few close up texture shots and also brought my ND filters to get some long exposure water shots. The sea was on its way in when I visited the beach which worked out well as I could get close to a sculpture set up the shot then re shoot as the sea surrounded it. 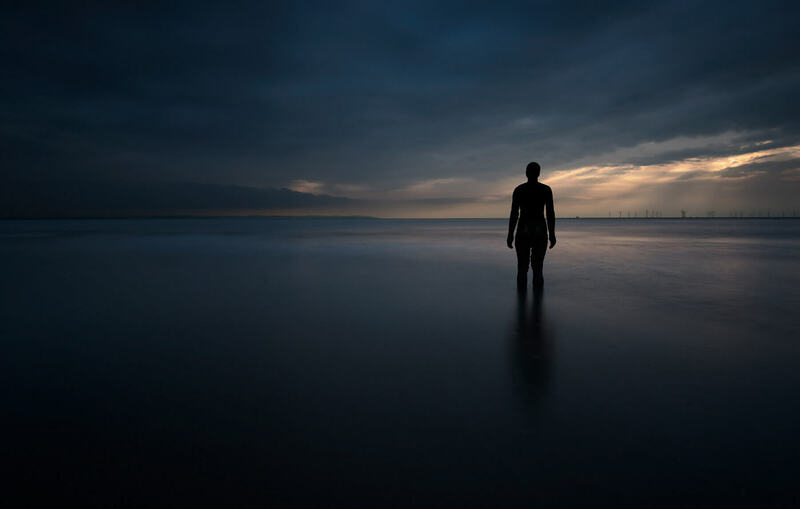 There are figures at different heights along the beach, some semi submerged out at sea and some full standing dry on the beach, a great choice of shots.